The European nation of Germany is formally called the Federal Republic of Germany. Its capital and largest city is Berlin, and the official language is German. It shares borders with Denmark, the Netherlands, Belgium, Luxembourg, Switzerland, Austria, the Czech Republic, and Poland. The North Sea is northwest of Germany, while the Baltic Sea is northeast. The country of Germany in its present form began in the 19th century. In 1871, the Prussian Prime Minister Otto von Bismarck unified scores of German-speaking principalities, kingdoms, free cities, duchies and bishoprics when he founded the German Empire. This, the Second Reich, soon became the leading European power, acquiring colonies around the world, including Africa, Asia, and the Pacific, along the way. That overseas empire was dismantled following Germany’s defeat in World War I and the abdication of Emperor William II. In the days after the end of World War I but before the peace treaty of 1919, there was a desperate power struggle for the remains of Germany. The traditional Germans wanted a democratic version of their society, while communist revolutionaries tried to introduce Russian-style socialism. The leader of the Social Democrats, Friedrich Ebert, was chosen by Prince Max of Baden to be his successor after the Kaiser was deposed. This fact made Ebert the first chancellor of the German republic, but a splinter group from his party, Spartakusbund (or, in English, the Spartacus League), had other ideas of what the republic should be. And yet another group of revolutionaries convened in Berlin, seizing several buildings. Ebert, with knowledge about the communist revolution in Russia less than a year prior, sent the army and the volunteer militia, all heavily armed, to stop the revolutionaries on all sides. Less than a week later, more than 1,000 revolutionaries were dead and the uprising quelled. Meanwhile, a new assembly was chosen with the mission of creating a constitution for the new German republic. The assembly met in the city of Weimar and elected Ebert to be president of the republic. From 1919 until 1933, Germany was known as the Weimar Republic or Germany, interchangeably. The terms of peace included numerous humiliating points. Germany was forced to pay war reparations and were allowed to have minimal land and sea forces and no Air Force. The German Empire was stripped of its colonies, which were to be redistributed by the League of Nations. They were to hand over all of their warship to the Allies, though on June 21, 1919, this requirement was circumvented with the actions of sailors who scuttled all fifty ships. In the next couple of years, chaos reigned in the republic. France marched troops onto German cities claiming the Germany’s was not meeting its obligation to deliver goods including timber and coal as agreed to in the treaty. In 1923, Adolph Hitler was jailed and sentenced to five years, the minimum sentence for treason, after a failed attempt to take over the government. He used some of that time to dictate his book Mein Kampf to Rodolf Hess, another Nazi with whom he shares a cell. In this book, he laid out his views and aspirations for Germany. In January of 1933, Hitler was appointed Chancellor after much deadly subterfuge and political wrangling on the part of Hitler. He further wrangled his way into succeeding German President Paul von Hindenburg, who was 84 and in bad health when he was elected, upon his death. Thus began Germany’s Third Reich, which is the period of German history from 1933 to 1945. After he established the Third Reich, Hitler led the country on a crusade to conquer all of Europe and rid the world of Jews, homosexuals, gypsies, and others he deemed inferior. The end of the Third Reich came when the allied armies of the United States, the Soviet Union, the United Kingdom, and China (known as the Big Four), along with numerous other smaller nations won the war. In 1949, Germany was divided into two states. The first was the Federal Republic of Germany, and it was known as West Germany or West Berlin. This state was a parliamentary democracy which had a capitalist economic system. They second was the German Democratic Republic, called East Germany or East Berlin, and which was a smaller state which had a Marxist-Leninist style socialist republic. It was in the Soviet sphere of influence. The Stasi, or secret police, controlled everyday life in East Germany and guarded the Berlin Wall, which was erected in 1961. In 1990, after the fall of the ruling party of East Germany, the Socialist Unity Party of Germany, the two states were reunited. Germany is a republic in west-central Europe with a population of approximately 81 million people, making it the most populous country in the European Union and the 2nd most populous country, next to Russia, in Europe as a whole. The country was divided into East Germany and West Germany in 1949 after World War II. The country was reunified in 1990. German (or "Deutsche") is the official language of the country, but many citizens (especially middle-aged and younger) speak English well enough to hold a conversation. Germany is a country rich in culture. From the various mountain ranges, lush landscapes and beautiful castles to the unique Christmas markets and famous Oktoberfest, there is something for just about everyone to enjoy in this popular country. Every year more than 30 million international tourists come to Germany to experience the rich culture and famous tourism. When visiting, be sure to do your due diligence to ensure you are prepared. For example, those visiting from the U.S. need to make sure their electronics are capable of running on 220 volts, rather than the 110 volt standard in the U.S.. Failure to do this may result in your electronic device being destroyed and it could even lead to a fire. Many electronics these days are "duel voltage," meaning they work on both, but some are not, so it is important to check. Another thing to keep in mind when visiting Germany is that credit cards are not as widely accepted as they are in other parts of the world. This means that you should not assume that every place you go will accept a credit card. You're always better off having cash on hand. But be sure not to care large amounts of cash, especially when entering "red light districts" where crime is higher. It's best to just stay away from the red light districts. Contact the local tourism office of the city you are visiting for more information on the precise location of the local red light district, if there is one in that particular city or town. There are several stereotypes that Germany has, which simply are not true. Many people believe that there is no speed limit on the autobahn, for instance. The "autobahn" is comparable to the interstate in the U.S. and while you can drive much faster on the autobahn than you can on an interstate, there is a recommended speed limit of 130 kilometers per hour (or approximately 81 MPH). Many people also believe that all beer is served warm in Germany. This is simply not true. You will not find beer served anywhere in Germany that is warm or room temperature. This common misconception is probably the result of American soldiers who are used to American beer which is generally served ice cold. German beer is served cold, but it may not be considered ice cold. Some also believe that German women do not shave their armpits or legs. While it is true some of the older, more traditional German women do not, just about every middle-aged woman and young lady shaves her armpits and legs. Grooming habits of German women are the same as the grooming habits of most women across the world. No matter what the reason for your visit, Germany is a beautiful country filled with various unique and fulfilling activities to enjoy. Science and technology museum in Munich expounds upon the exhibits, including a replica of a mineshaft, the history of computing, and the Kids' Kingdom which is designed for children from age 3 to age 8. There is also a directory which directs people to the correct of the six floors in the museum. Business hours, directions, admission prices and online tickets are available here as well. Lays out the history and symbolism of the national flag of Germany a, well as of the sixteen states in Germany. German beer is another topic covered here, which is relevant to this site, according to the author, because the oldest brewery in the world, having brewed beer as long ago as the year 1040. Also covered here is the traditional Christmas in Germany, with explanations about Advent, St. Nicholas Day, Christmas Eve, and Christmas Day. This website provides news and other information on Germany, Europe's largest economy. You can read about current German politics here. The website also explains the basics of German culture and life, which can help to prepare for you for a visit to the country. The German Society of Human Genetics, previously known as the "Society of Anthropology and Humans Genetics," has as its mission the promotion of research, education and practice in the area of human genetics. Their website provides information about the organization's meetings and meetings as well as member statistics and history, and a database and search engine of genetic counseling in hospitals as well as private institutes. Phaeno is a science centre in Wolfsburg, Germany which is housed in a building shaped like a spacecraft. Online features include visitor information, virtual exhibit tours, and architecture and tourism links. Site is available in English and German, and it has a downloadable general information brochure on its first page, just above the ticket pricing section. The Romantic Road, which is a gigantic tourist attraction, was created in 1950. The road is 460 kilometers long and passes through 29 towns. The site provides general information, information for those who wish to walk and for those who wish to bicycle the road as well as a map specific to the road, with links to descriptions of each of the towns it passes through. The Germany tourism website has information which includes special sections for families, disabled travelers and young people. In addition, there is a section about sustainable travel, one about German food and where to get it, and the top 100 things to see in Germany. You can also find information about spa vacations in Germany as well. A property consultancy specialising in real estate in Berlin and East Germanu deals in apartments as well as other real estate including not just Berlin but Dresden and Leipzig as well as other booming cities, selling to investors internationally. 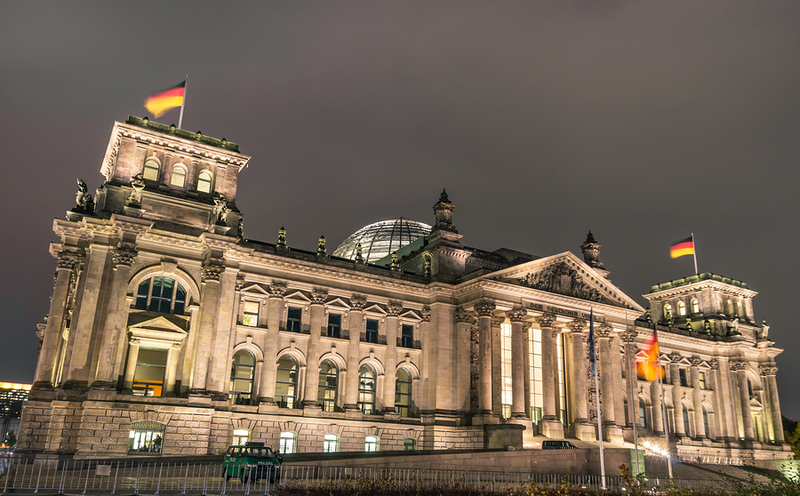 On the site, they discuss such things as the fact that Germany has historically low mortgage rates, lower prices than elsewhere in Europe, and an attractive return when compared to other European countries. They also offer property management. Search for Germany on Google, Bing, or Yahoo!